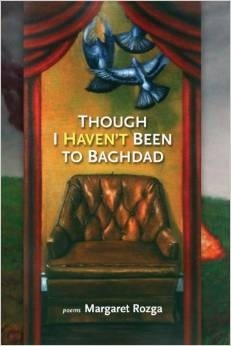 MARGARET (PEGGY) ROZGA is a civil rights activist, poet, playwright, professor emerita, and the author of Though I Haven’t Been to Baghdad (Benu Press, 2012) and 200 Nights and One Day (Benu Press, 2009). 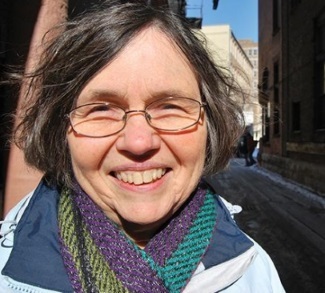 She served as managing editor of the chapbook anthology Turn Up the Volume: Poems about the States of Wisconsin (Little Bird Press, 2013). 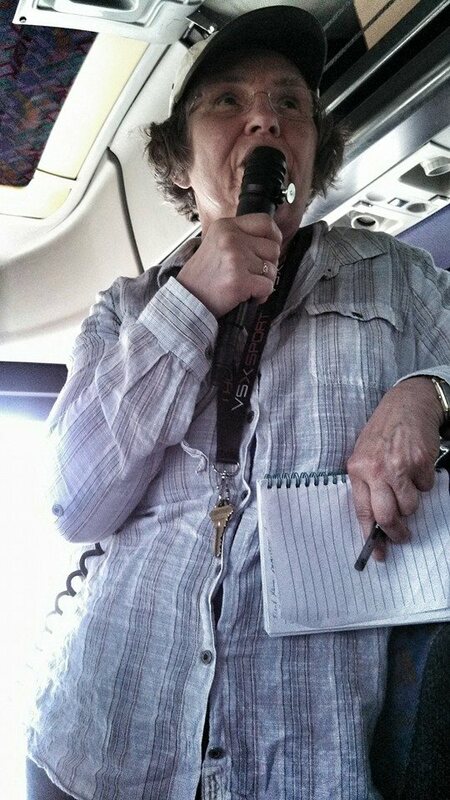 Wendy Wisner: You are a civil rights activist and you refer to past and current civil rights issues in your poems. How does your work in the civil rights movement inform your poetry? Margaret Rozga: I first tried writing a memoir to talk about my civil rights work, but it lacked depth. The break-through to poetry came as a second step after the theater director at my campus asked me to write the memoir as a play. Seeing the play, March On Milwaukee: A Memoir of the Open Housing Protests, on stage helped me see how the voices were already almost poems. Since I’ve continued to write about social justice issues and my activism, I find that both writing poetry and engaging in civil rights work involve being aware beyond the obvious and a dogged determination to get something right. WW: That is very interesting. Can you expand on that? How do both poetry and civil rights activism require “being aware beyond the obvious”? What is the role of “dogged determination” in each of these areas? MR: In 200 Nights and One Day, poems about the struggle for fair housing legislation, I conclude with a poem, “Toward an Epilogue,” that addresses the activist part of this question about determination. We did what we knew we had to do. Through all that nasty cold. 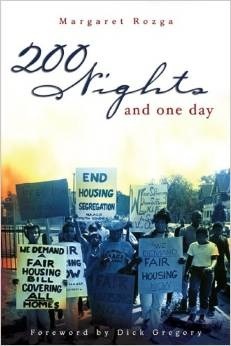 The 200 nights of the book title refers to the 200 consecutive nights of marching for local and national fair housing legislation. That series of marches each night from the end of August to the end of March took dogged determination, especially because the city refused to budge through all this time. After the assassination of Martin Luther King and the work of supporters to elect some more progressive voices to the City Council, the city fair housing bill finally became law. WW: For the benefit of readers who may not be familiar with your work, would you mind talking about your role in the Southern civil rights movement? What was the exact nature of your involvement? MR: Before the Voting Rights Act was signed into law in 1965, I began work on the voter registration project in rural Alabama and continued through the summer, so I saw in August when the bill became law how powerful it was, immediately removing barriers to African American political participation. At home, I joined the Milwaukee Youth Council of the NAACP. We participated in school desegregation actions, including school boycotts, and raised an issue about the membership of elected officials, especially judges, belonging to a Whites-only club, and then the long, and ultimately successful campaign for fair housing legislation. WW: As a participant in the struggle for civil rights, do you have any comments on the state of civil rights today? This year we’ve seen a new generation of activists addressing the unresolved issues of systemic racism here in the U.S., as well as the issue of LGBT rights. Do you see parallels to the civil rights movement of the 1950s and 60s? What do today’s activists need to know? I’m tremendously encouraged to see the energy and the insights of young social justice activists today. I’m gratified when they cite the actions of my generation as their inspiration. Here in Milwaukee, advocates for public schools staged a march across the bridge we crossed in the most dramatic of the fair housing marches because they wanted to identify education justice issues as civil rights issues. When we were young members of the Milwaukee Youth Council of the NAACP we didn’t always get along with the adult NAACP branch. I used to wonder why the adults weren’t just happy that we were picking up the freedom banner, and I resolved that if, when I was old, I could turn and see behind me young people standing up for justice, I would not criticize, but I would applaud. I want today’s activists to know that when they work, sing, march, rally, lobby, hold up the light, boycott, strike, create art for justice, they have my support. WW: How do you deal with the self-doubt that many of us writers face every now and then? What keeps you engaged and motivated in your writing? MR: Recently I‘ve been serving as a civil rights and poetry consultant in programs where high school students learn about civil rights struggles and create multi-media, multi-arts gallery exhibits to put their learning on display. The students become passionate about the subject and about how words have power. Their enthusiasm inspires me deeply. WW: That sounds wonderful. Can you speak more about the programs you bring to high schools? Are you exposing them to existing poetry? Which poems/poets do you use? What aspects of the civil rights movement do you focus on? Are there particular stories you share with the students? Can you share some specific details about the students’ multimedia projects, or about a moment of discovery in the classroom? MR: I work with a non-profit that brings Arts Across the Curriculum support to public schools that request it. The goal, as defined in Linda D’Aquisto’s book, Learning On Display, is to create a museum exhibit of what they’ve learned, and the schools usually have a topic they want to pursue. A teacher at the first school where I worked wanted to teach a Milwaukee-focused civil rights unit. She was astonished to find little in print about local issues, leaders, obstacles, and successes for her to use with her class. So I was invited to talk about the fair housing struggle. The teacher showed her students the poems in 200 Nights and One Day, and after we discussed the images in those poems and after the students did considerable archival research and other interviews, she asked them to re-imagine the situations, the people and their feelings and then write their own poems. They did beautifully. They loved working on the project, even coming to work on the exhibit during their spring break. WW: Your references to gardening and the cycles of the earth are gorgeous and rife with sensory images and emotion. Do you garden regularly? How does it inspire your poems? MR: Thank you, Wendy. From where I sit to do my daily writing, I can see the cilantro, chives and parsley in my garden, and that gives me subject matter. Then I find somehow the literal turns metaphoric, and at that point, I know I’m onto a poem. WW: Can you tell us more about your daily experience of gardening? What are the aspects of gardening you love most? What attracts you to it? What does gardening reveal about life? What has it taught you? MR: I love the promise of spring, the earth warming, the soil becoming supple enough to work, but I find sowing tiny seeds frustrating. I’m never sure I’m at the right depth. Then either the seeds tumble from the packet too close together or they escape my weary fingers and scatter. What I love most is seeing the first green sprouts push through the earth. How impossible it seems to me that these shoots unfolded from those tiny seeds, made their way to light and air, and will continue to grow. I learn every year again that tiny seeds grow. And what could be a better metaphor for hope than that? WW: Who are your influences as a poet? What poets do you read most? Whose writing inspires you? What are you reading now? MR: Gerard Manley Hopkins’ “Spring and Fall” was the first poem I ever really loved. He addresses “Margaret” in the opening line which made me feel like he was talking to me. What held my attention and brings me back to the poem over and over is the intense alliteration, almost too much, but modulated to suit the meaning as it develops. I want to know my craft that well. The best book I read in 2014 was Frank X. Walker’s Turn Me Loose: The Unghosting of Medgar Evers, a book about the slain civil rights leader, a book that depicts hatred but also presents a profound love story. Martha Collins’ Blue Front models for me how poetry can address questions of race. The sonnets at various points in that book showed me a way to unify a book formally. I go back often to Simon Ortiz’s After and Before the Lightning, thinking about how and why he moves back and forth from prose to poetry. Most recently I enjoyed my friend Wendy Vardaman’s new book, Reliquary of Debt, for, among other reasons, the way she straddles, crosses, confounds prose/poetry borders. WW: To what do you attribute your style as a poet? How does the poem first come to you, and how does it reach its final form? Please comment on the importance of rhythm, of imagery, or whatever techniques are most essential to your poetry. MR: Some poems start with an image: something I see or hear seems worth paying attention to and may hint at something more intangible. In a few cases the metaphor actually announces itself. This was the case with “In August.” One day I looked out at my garden and saw how the late summer’s growth had overgrown the “Justice” garden markers. As a writer, I’ve sometimes had a long wait to find a way to realize the promise of an image. I first wrote about slicing an onion at least two years before I finally looked closely at an onion I had cut open and saw it was about to sprout. Then in a flash of insight I saw where the poem could go. It’s now “On the Vertical” in Justice Freedom Herbs. WW: What is your writing process like? Do you have a writing routine? MR: I try to write first thing each morning. Taking inspiration partially from Wallace Steven’s “Thirteen Ways of Looking at a Blackbird, I write thirteen observations. I believe a poet is in a very literal sense a seer, so I try to see and hear what’s within the range of my eyes and ears and avoid writing introspectively. I allow myself to flit from subject to subject, don’t require complete sentences, and if an “I” statement pops in there, I don’t fret about it. Sometimes the daily practice leads directly into a poem, sometimes not. My new book Justice Freedom Herbs started with daily observations of my small herb garden. WW: How did you compile the poems in your new book? Is there a theme or a narrative arc? MR: I hope the poems in Justice Freedom Herbs bring the reader into my garden where along with tending the basil and oregano, I think about the social justice issues important to me. They are garden poems with implicit, sometimes explicit, civil rights, economic justice, and peace themes. Though there is some progression through the seasons, this book has less of narrative arc than my other books. I weave references to my early southern civil rights world into sections of the book mostly concerned with recent actions. More and more I see that I bring my early civil rights experience with me everywhere I go. WW: Is there anything you’d like readers to know about the launch of your new book? When will it be released? Where will you be reading? Any other events coming up for you? MR: Advance copies of Justice Freedom Herbs arrived on Christmas Eve. How perfect! The official launch took place in March at Woodland Pattern Book Center in Milwaukee. I read with other Word Tech authors at an off-site event Friday April 10th during the AWP meeting in Minneapolis. Other readings are scheduled at Ripon College in April and at Mystery to Me bookstore in Madison May 9th. I hope for a chance to read some of the poems in Atlanta this fall in conjunction with the 50th anniversary reunion of the voter registration project I was part of. WW: Now that the new book is complete, what are you working on now? MR: A book of poems focused on the life and times of Jessie Benton Frémont (1824-1902). I first became interested in her after reading by chance in a letter of hers to her husband, the explorer and presidential candidate John Charles Frémont, that she couldn’t write a biographical note for his book for him because she doesn’t know how old he is. That interest deepened when I learned how woven into her life were key issues of race and racism. When I was awarded a 2014 Creative and Performing Artists and Writers Fellowship at the American Antiquarian Society in Worcester, Massachusetts, so taken was I with the language of the time in primary materials—letters, diaries, grammar books, congressional speeches—that I couldn’t stop writing. The pace has slowed some since I’ve been back home, but I think I’m nearing the end of a draft of this book, tentatively titled Always Race. 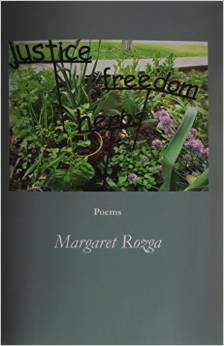 Read three of Margaret Rozga’s poems published online at Verse Wisconsin, all included in Justice Freedom Herbs. Browse through archival photos of Freedom Summer available online, at the Wisconsin Historical Society’s extensive collection.